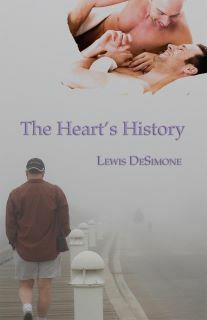 I just wanted to let you know that Lewis DeSimone has a new book coming out from Lethe Press and I am really looking forward to it. I am using what Steve Berman, owner of Lethe, had to say about it. “This is Edward: architect, friend, lover, mystery. Everyone has their own Edward, a kaleidoscope of images struggling to define a man who has never let anyone get too close. But now, Edward is dying, and all of his loved ones are desperate to understand him, to connect fully with him, before it’s too late.